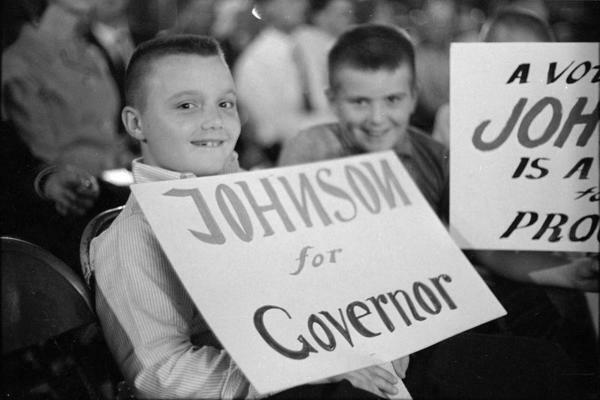 1963 Gubernatorial Election: "Stand Tall with Paul"
This photograph is identified by Moncrief as "Johnson, Paul 1964." Although not identified as such it appears to be associated with Johnson's successful bid for Mississippi Governor in 1963, which was covered extensively by the Hattiesburg American. 4 Hattiesburg American, August 5-7, 26-28, Nov 2-6.